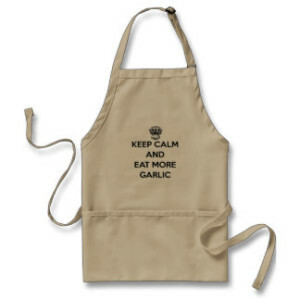 Love it or hate it, garlic breath goes hand in hand with garlic. Image courtesy of HealthyFellow.com. Ahh, garlic breath. There’s no middle ground when it comes to garlic breath: you either love it or hate it. Garlic break is a catch-22 as the same organosulfur compounds responsible for garlic’s health benefits are the very same culprits that cause garlic breath. For the scientists in the crowd, the main compounds at work are allyl methyl sulfide, allyl methyl disulfide, allyl mercaptan, diallyl disulfide, dimethyl disulfideand methyl mercaptan, and small amounts of dimethyl selenide. Allyl methyl sulfide is the real stinker of that crew, as it can be found in the lungs, urine, skin, and mouth after garlic is eaten. It is absorbed into the blood and carried to major organs, with its stinky effects usually lasting for hours. The only real cure for garlic breath is time, as the organosulfur compounds are short-lived and typically disappear in an hour or two. Brushing your teeth can help by removing lingering its of garlic but mouthwash, gum, or mints just cover up odors and don’t address the source. Some articles recommend chewing herbs such as mint, parsley, fennel, anise seeds, cardamon, and rosemary but this isn’t exactly practical and easier said than done. Drink whole milk: Research published in the 2010 Journal of Food Science suggests that the combination of fat and water in whole milk works to neutralize and mask garlic breath if consumed while eating garlic. The fat in whole milk appears to be necessary so skim milk or low-fat milk won’t be as effective. Adding whole milk into garlic recipes also seems to be effective. 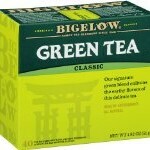 Green tea is one of the most effective and health ways to combat garlic breath. Green tea: Numerous studies have shown that the polyphenols in green tea can be effective in combating halitosis in general and garlic breath in particular. Green tea in particular has been shown to help with oral health due to its antiviral properties as well as the fact that it appears able to modify the actual organosulfur compounds that are the root cause of garlic breath. Green tea may have other health benefits such as lowering blood pressure so it’s a great choice to add to your daily routine even if battling garlic breath isn’t an issue. Plan ahead: This is the simplest way to beat garlic breath but also the least exciting. If you’re eating garlic daily for its health benefits, simply accept garlic breath as a natural part of your day and plan accordingly. Early risers can get their daily garlic and see most of the resulting garlic breath disappear by the time they head out for the office. Another option is to consume your dose of garlic at the end of the day before bed, with garlic breath waxing and waning while you peacefully snore away — although anyone sharing your bed might have a thing or two to say about this approach!